Didn’t get a lot done on Friday night, as my puppy wasn’t feeling the best. I thought it may be because his hair had grown so much and the summer heat has hit with a vengeance, so I decided to give him his haircut during the evening as it’s cooler…..
……after which I found the culprit that has been making him feel sick….a tick had buried itself in his ear fur…..I’m so glad I checked. After dabbing a bit of antiseptic and Vaseline onto it to smother the tick, I gently pulled, and it released itself. He is still not 100 percent, but is loads better. I’m working some more on it today, so I’ll show progress pictures soon. 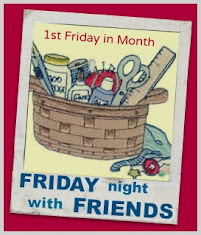 Thanks again to our FNWF hosting mumma Chez…..I love our girly nights together. Have you seen what everyone else got up to? Worth a visit to check them out! Sounds like an interesting Friday for you, glad to hear your puppy is starting to feel a bit better.....ooohhhh a sneaky peek :) Barb. Hi Wendy, I found you via Cheryll's blog and I have joined the FnwFs for the first time. I am so sorry to hear about your poor dog-- we have paralysis ticks here and they are nasty little creatures. Do hope he is feeling better. Looking forward to the next FswF. Wendy soo pleased your baby is feeling better look forward to seeing him up and about. Love the sneak peak it looks wonderful. So good that you found the tick, hope he's up and about soon. I'm SO glad you found that tick! They are nasty bugs. He looks cute all shorn. Love your hints at the future. =) How nice to have a magazine commission! glad your furbabay's feeling better & yes the tinyest tick can just sap all of their energy, glad you were able to work on a little bit of your project but I know how you feel wehn it comes to our furbabies the word dog or cat never enters in they are our babies lol!